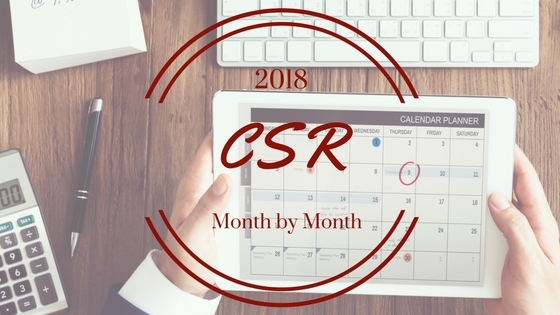 In 2018 a CSR program is no longer viewed as “nice to have” but as an integral part of a successful business strategy for companies of all sizes. But, just running one annual event is not going to cut it. In order to attract and retain the best talent, throughout the year employers need to offer comprehensive programs that create measurable social impact, speak to their corporate mission, and appeal to a diverse employee population. Remember two important tips as you build your program. First, building a relationship with the charitable organizations is key as their needs are ever-changing. Becoming a real partner with a local charity(s) helps to build up neighborhoods which invigorates employees and boosts visibility and respect within the community and beyond. And second, getting C-Suite executives to buy in not only in principle but in action goes a long way to show that serving the community is indeed a priority for your organization. It is important that your CSR program offers multiple opportunities and pathways for employees at all levels of the organization to get involved. Thoughtfully planning and organizing events all year long is no simple task. Thankfully, evolving technologies and services are available to assist you in your efforts. YouGiveGoods, for example, enables you to run online drive events for any charity(s) any time. An online drive to raise new goods to support ongoing charity programs and post disaster relief is an ideal way to diversify your program and can be worked into your schedule anytime of the year. It's not too late to build a calendar full of wonderful opportunities for your employees in 2018. Your company, your employees and the community will all reap the benefits.